The fear of failure and comfort of job safety are the two main reasons most people work at jobs they hate and don't follow their dreams. Entrepreneurship is walking into that dark room, rolling the dice and following your dreams. 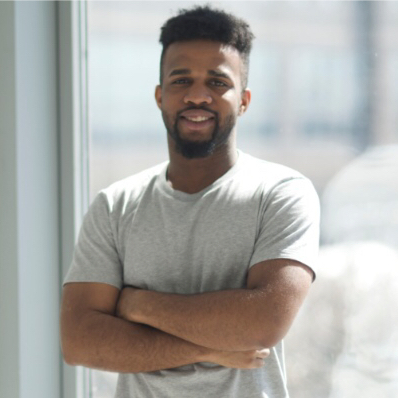 TheCulturePlug got a chance to catch up with young entrepreneur Joel Xavier. He is CEO and Founder of MUAH, an apple based app, that allows users to request makeup artists, hail stylist and nail beauticians to the comfort of their home. MUAH also provides a platform for freelance artists to manage and grow their businesses. We got the opportunity to gain some valuable insight from Mr. Xavier about entrepreneurship and how he overcame the hurdles to get his own corporation started at the age of 24. Check out our interview below. I'm 24. I'm nothing special. I enjoy inventing things. Where are you from? How do you feel like this played a part in your business mindset? I didn't grow up in Silicon Valley or any tech related hubs. I was born and raised in Kingsbridge in the Bronx and was taught hood politics at a young age. I was easily influenced by the wrong people and got myself into a lot of trouble growing up. It was until I escaped that environment and went to college that helped shaped my mindset into an entrepreneur. Entrepreneurship is like jumping off a cliff while building your plane on your way down. One important aspect of Entrepreneurship that helped me grow my passion for it was my ability to solve problems without someone saying that I messed up or that I received an "F" for this. Entrepreneurship encourages you to fail forward. And in the process of failure, you will learn many new things such as how consumers behave and what are their innate desires. From there, it will help you re-build your product more robustly. That's what I enjoy most about Entrepreneurship. My ability to fail and understand that is merely part of the process. What are some of the biggest difficulties you've faced in starting your own corporation? Till this date, the biggest obstacle that I face is finding great talent. Most people that want to work are motivated by the idea that bills can get paid and they'll be financially stable. It is extremely rare to find a person who is up for the challenge to start from the ground up and work relentlessly despite not having a salary. Too many people are money oriented. You constantly hear "chase the bag" "stack money and build." But you never hear "Believe in your vision." "Change the lives of many." Finding passionate people may be the most difficult part. 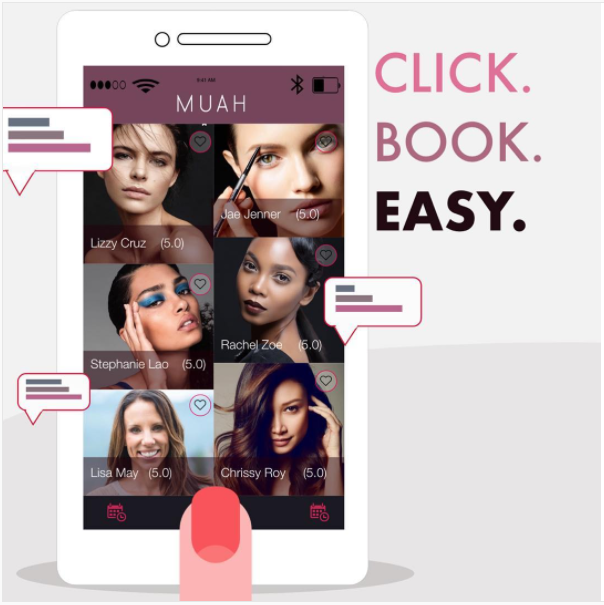 MUAH is a beauty on-demand app that enables you to book a trusted MUA, Hairstylist or Nail tech to the comfort of your home, hotel or event. We are also a freelance hub that encourages freelancers to manage their business better and build new clientele. Where do you see MUAH in 5 years? I see MUAH becoming a leader in the beauty salon industry that also dominates the online market. We want to combine collaboration, community, and empowerment to the beauty industry and form a new dynamic in which can help people uplift and support one another. If there was one thing you wish you knew 3 years ago, what would it be? "Believe nothing that you hear and only half of what you see." Dale Carnegie, Malcolm Gladwell, Benjamin Graham, Kendrick Lamar, Jay-Z, Mark Twain, Sia, Sheryl Sandberg, Mel Robbins, Adam Grant. Do you feel like the faced paced, dog eats dog mentality of NYC is a facilitator or hindrance to start-ups? In the time that we live now, collaboration is paramount for startups to grow and scale. The dog-eat-dog mentality can only work for so long until morale diminishes your team's work ethic and you're left with a toxic environment. That mentality will not work for Startups because Startups are built for the long-term. And the only way to stay alive in the digital world is to have a community behind you that will back and support your vision. Not just customers but partners, shareholders, and investors. We must remove the idea of competition from our mindset and replace it with collaboration. Until then, businesses will continue to pivot due to their zero-sum mentality. What can we expect next from you, from a business standpoint? I have a 10 Year Plan with MUAH. So until then, that is where most of my attention will be placed. If you could provide some advice to an aspiring entrepreneur what would it be? I believe we all have a 5-second window to take action on our ideas before our brain kicks in to stop us—maybe less. So the next moment you have an instinct to act on a goal, you must physically move within 5 seconds or forever fall victim to the distractions of the day. Also, I'm sure you are becoming aware of doubters and naysayers. They are everywhere. You must come to the realization that everyone is fighting their own battle. You must do your best to close the door to negativity and doubt—and begin creating new thoughts and positive thinking that will propel you forward. There is nothing good about the news. Instead, replace the news with books or podcasts that will help you develop new skills.